Are you balding? or Are you already bald? If the answer is Yes, then this post is for you. I dedicate this post to all the bald friends of mine. 1) You don't have to buy a comb. People who use a comb pollute the world with strands of hair. You do not contribute to pollution and you don't belong to the polluting society. 2) You will not suffer from dandruff problem. No lice on your head too. You are hygienic compared to those who have hair. 3) When you are bored, you can play music on your head. Your head automatically becomes a percussion instrument. 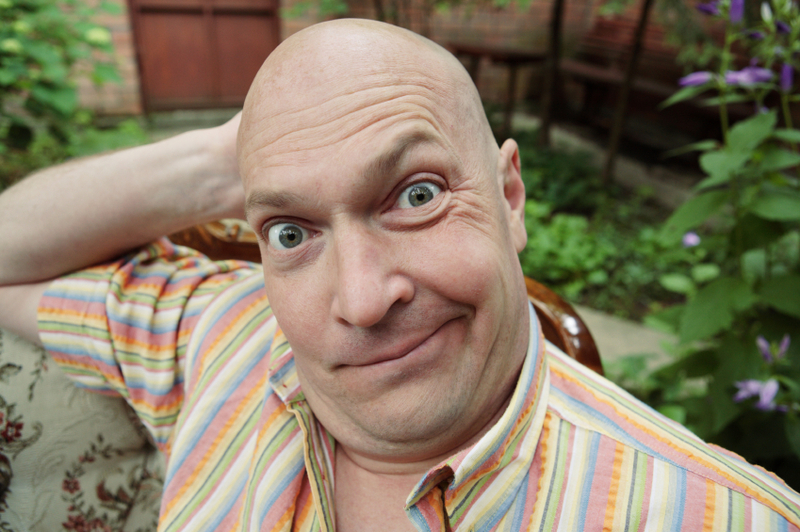 4) Bald men should realize that they are taller than their hair. The hair is still inside. They just grew up faster than their hair. 5) You don't have to perm, straighten, color your hair. You automatically become cost-effective. You are an asset to the nation. 6) Girls like bald men. 8) If you are bald, fair and little fat, people might even think you are Ramesh Srivats. 9) If you are over 30 with a full head of hair, then you are a sissy. You are not even man enough to knock a little hair of your head. Grow up! Be a man! Go bald. 10) Bald men are better leaders. 11) If you have a bald head, people respect you. 12) Some people who are balding (like the author) are like the cat on the wall. They try all means to grow that hair back. But they never grow. So my sincere advice is " Go and tonsure" . You will look a lot better than looking like a half shaven Pomeranian dog. 13) Your head is a natural reflector. You don't need additional lights to take photographs. 14) You can draw a face on your head and it will exactly look like the ball friend that Tom Hanks had in Cast away. 15) God only made a few people with a perfect head. The rest of them, he covered with hair. Good one. :D I am balding, and my head will become that instrument before I am 35.